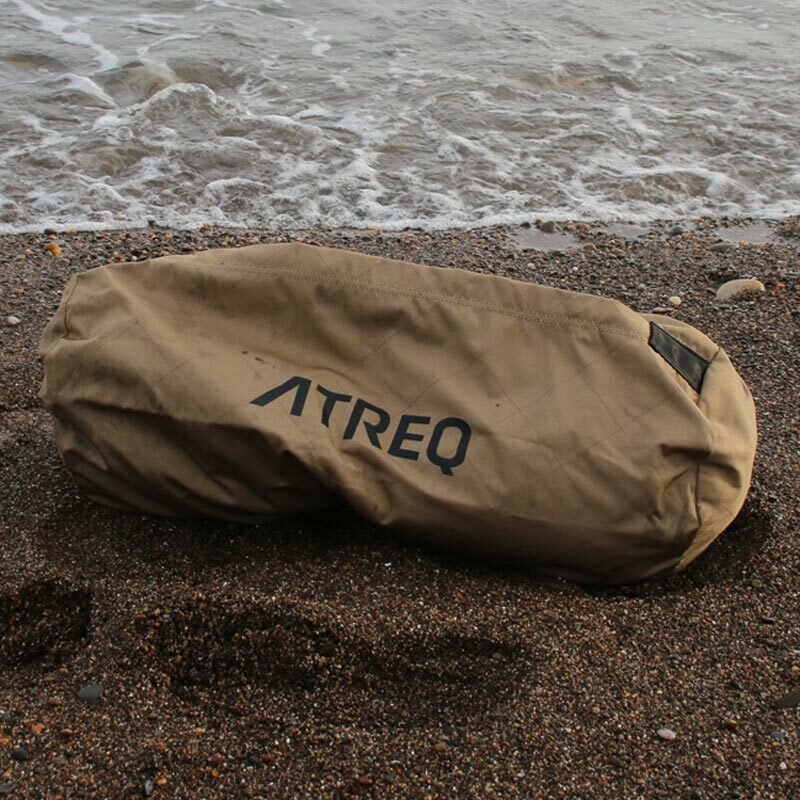 The ATREQ Vigor Strength Sandbag is manufactured from 1600D Military Spec Codura. Designed with no handles for maximum grip training. 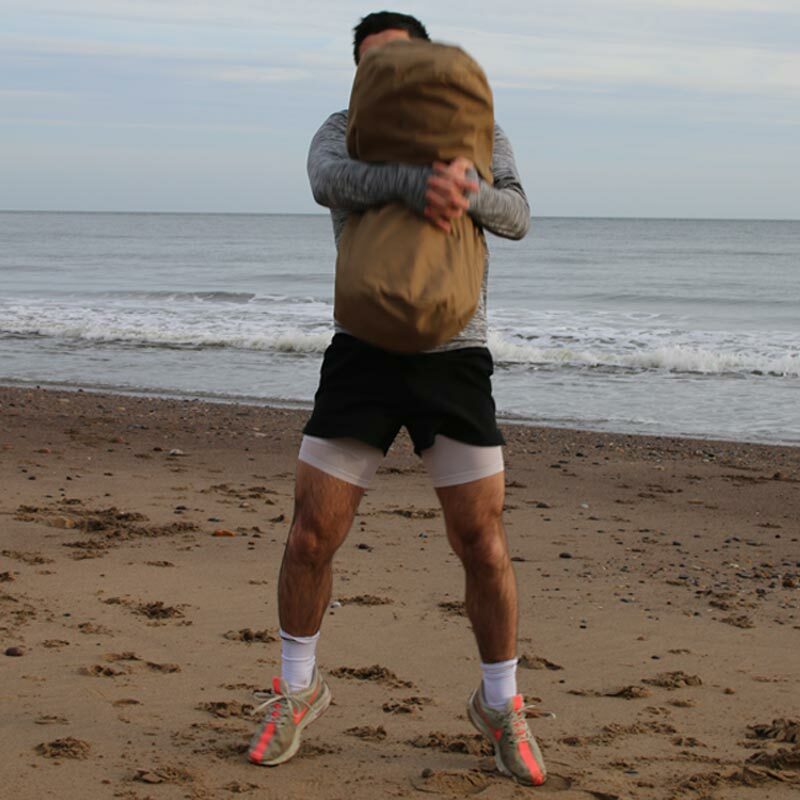 Why No Handles - Sandbag training is designed to improve your grip. 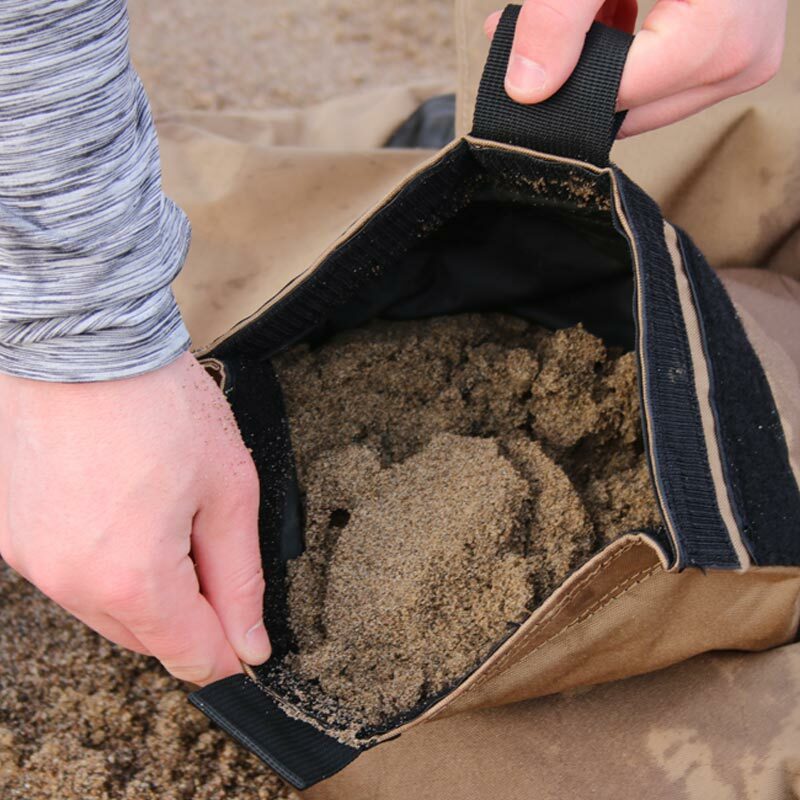 You need to stress your hands to grab the sandbag with its shifting fillers. Whether you twist, rotate, or simply carry the sandbag, you toughen up your grip in the process as your body never knows what’s coming next. 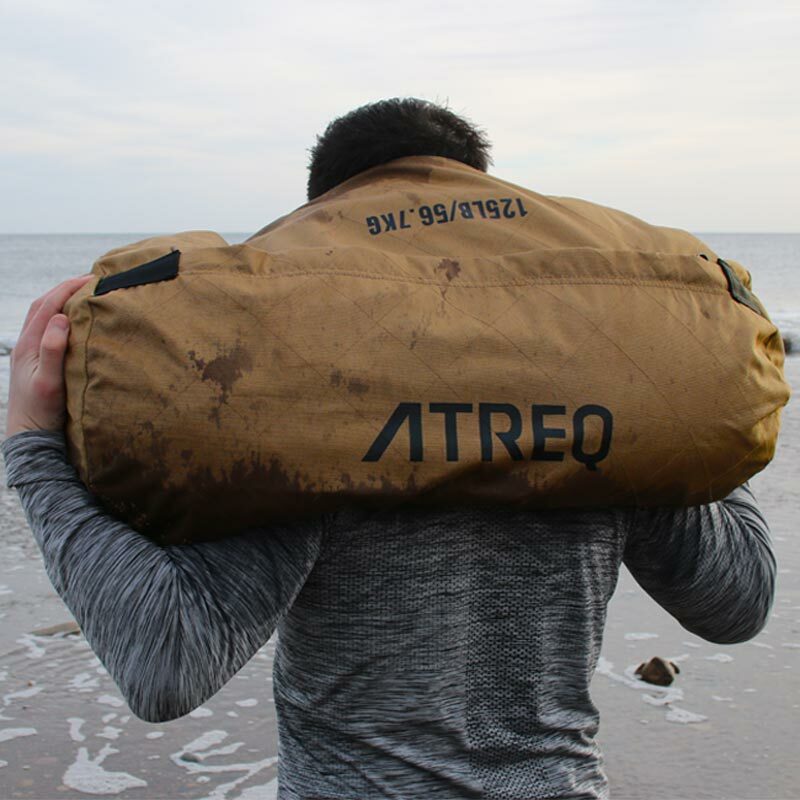 You don’t need handles to do that – just a quality sandbag with strong materials to keep up with your training. 3 interior bags, you can adjust the weight as you go along your routine. Because it’s made with quality materials, you can grab the loose fabric and grip it with a powerful fist to lift or row the bag. This move prevents wasted energy and bag rips often seen in sandbags with handles. More importantly, it’s the way sandbag training should be done! Outer Bag - Length - 70cm x Width - 33cm. Inner Bag x 2 - Length - 85cm x Width 33cm. Inner Bag x 1 - Length - 60cm x Width 26cm. 3 double hook and loop filler bags included. 1600D Military Spec Codura for maximum durability. Diamondback cross-stitch pattern for extra reinforcement. Heavy duty 2X stitching all around. Large YKK zipper w/ zipper cover. PVC coated fill bags are guaranteed not to leak.